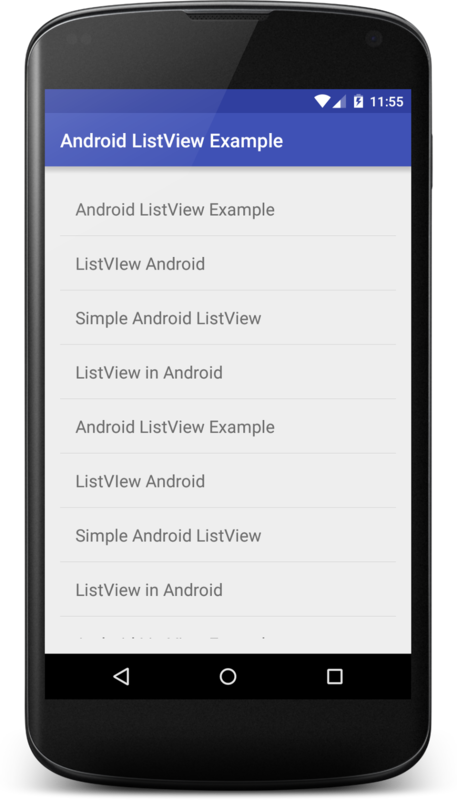 In this example, I am going to show how to create a ListView in android. To create lists you have to add ListView in your xml layout and create a new layout and add TextView. In your main layout add ListView which looks like this. Following is the xml code of listview_row.xml file. Following is the modified java code of MainActivity.java file. Download complete Android ListView Example project source code from GitHub.